Today I sold my other iPhone 4 that I used for a backup in case if my primary mobile phone device breaks. However I did not use it much, so now I decided to sell it. I created online ad on one of the major online service for selling previously owned goods in Slovenia. Just couple of minute after I placed the add, I started to receive phone calls, SMS messages and email from the people who were interested in buying my iPhone. 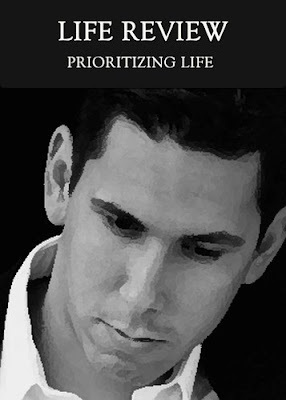 I was amazed about how people had different approaches and what they put priority to. My iPhone was 2 years old and I checked my competition by going through the rest of the ads for the iPhones. I found out that for my model of the phone the ads were 200 to 300 € for the device. Since my device was as new and without any physical damage, I decided to put the price of 240 €. One of the first prospects was I younger boy who wanted to buy the phone for his girlfriend. He lived just a block away and wanted to buy the phone immediately but for the maximum price of 190 € which was not enough for me. However a couple of hours later I man in his forties called me and said that he would like to buy the phone for his wife if the device is really in such good condition as I stated in the ad. I confirmed and he came with his car from a city one hour of drive away and payed for the full price of 240 € that I offered. What surprised me was that he explained why he decided to buy the phone from me. He said that he checked the ads and that he did not want to buy the phone that had too low price from since he associated lower price with the lower quality and worse condition of the phone. So he was willing to pay for a but more and to take one hour drive in order to get the better phone. What alined with his statement is also that he was driving a good brand and model of the car so he was a very successful person. So one can see that the attitude towards others is very important since if you put the priority on the price and nothing more, that you resonate fear and you are not able to generate much income. However successful people put the priority on the quality and are able to generate enough money to buy products of good products. What goes around come around. So let us all change our thinking patterns so that a dignified life for all will be the priority. Check out the Desteni I Process and the Equal Money System as the effective practical solution to achieve abundance for all humans, animals and plants on this planet.